The ultimate guide to Dubai 2019. Everything you need to know. Filled with wanderlust? Are you looking for a new place to travel? 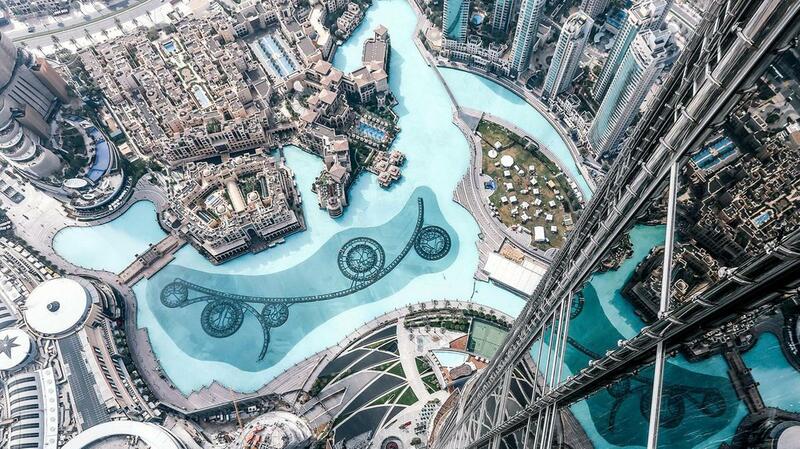 If so, Dubai might be the perfect place for your next trip. Dubai, the largest city in the United Arab Emirates, has everything you need for a dream vacation. Dubai offers plenty of beautiful beaches and places to explore, notable shopping areas, and plenty of unique attractions that are sure to help make your trip memorable. Dubai is a large city with several different areas to visit or stay during your trip. Here are some of the most popular locations that you do not want to miss when you visit Dubai. 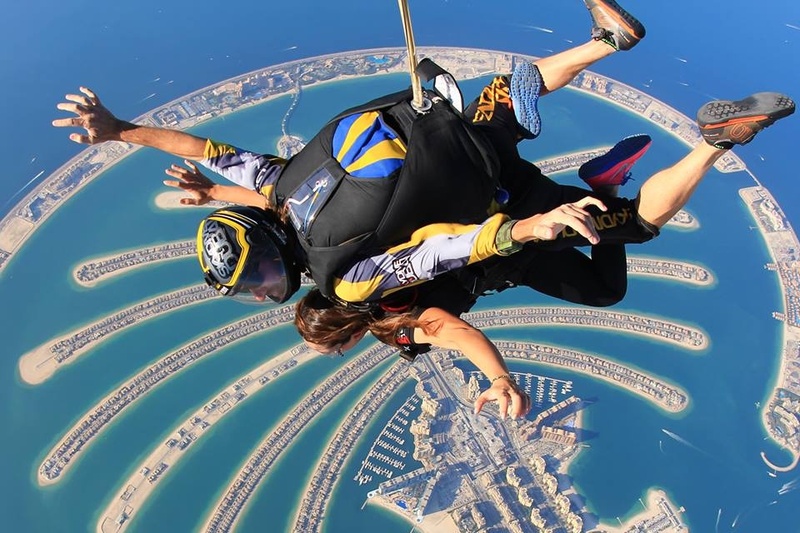 The Palm Islands, which consist of three man-made islands–Palm Jumeirah, Deira Island, and Palm Jebel Ali–are located off the coast of Dubai. They designed to provide visitors with premium entertainment and leisure options when they travel to Dubai. Currently, only Palm Jumeirah is completed, but it is well worth the visit. Palm Jumeirah hosts the famous, five-star resort Atlantis, The Palm among other lovely hotels and resorts. Additionally, it has a beautiful coastline that any traveler will love. Downtown Dubai has a thriving nightlife, perfect for people who want to explore the city and have a night out with friends. Downtown Dubai is the city’s hub; it boasts a futuristic atmosphere as well as several unique attractions. In this part of the city, you will see the Dubai Mall, incredible restaurants, and the famous Dubai Fountain. You can also go down the Downtown Slide, visit the Dubai Aquarium, or skate in the Dubai ice rink. The opportunities for fun are endless in downtown Dubai. Al Barsha is perfect for families thanks to its quieter, home-like atmosphere and location. Spend time living like a local and enjoy delicious, affordable meals at local restaurants. This area is right next to the Mall of the Emirates, a luxurious shopping centre with hundreds of shops, dining areas, and activities for the whole family such as Ski Dubai, an indoor ski resorts with 22,500 square meters of indoor ski area. Located on the outskirts of Dubai, this port town is home to breathtaking resorts, beaches and other attractions. 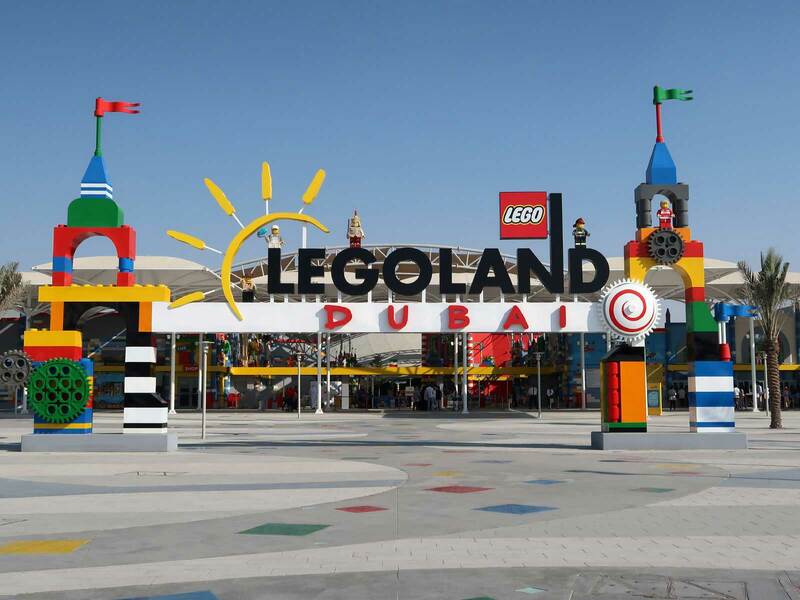 In Jebel Ali, you can visit several major tourist attractions like LEGOLAND Dubai and shopping centres like Riverland. 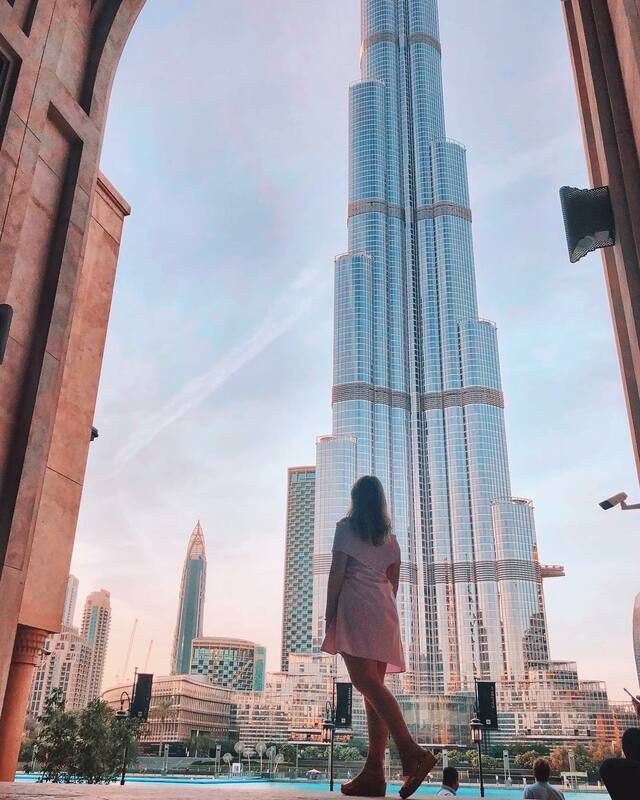 At 829.8 meters and over 160 stories, Burj Khalifa is the tallest building in the world, as well as the tallest free-standing structure in the world. Take in the view from one of the observation decks or enjoy a guided tour through the building. This impressive structure is an attraction that you do not want to miss. Located in downtown Dubai, the Downtown Fountain is the world’s tallest, functioning fountain. This fountain features an incredible lightshow with over 6,000 lights and a water show with over 1,000 different water expressions. These features perform in sync to music for a dynamic overall experience. The Wild Wadi Waterpark has over 30 rides and attractions for your family to spend a fun day outdoors. Spend time in the wave pool, surf, or try one of the many thrill rides. If you and your family enjoy water activities, the Wild Wadi Waterpark is a great attraction to visit. For more aquatic fun, Aquaventure has 17 thrilling water rides for those who want to take their water activities to the next level. Located in Atlantis, The Palm, this waterpark features the world’s largest waterslide. 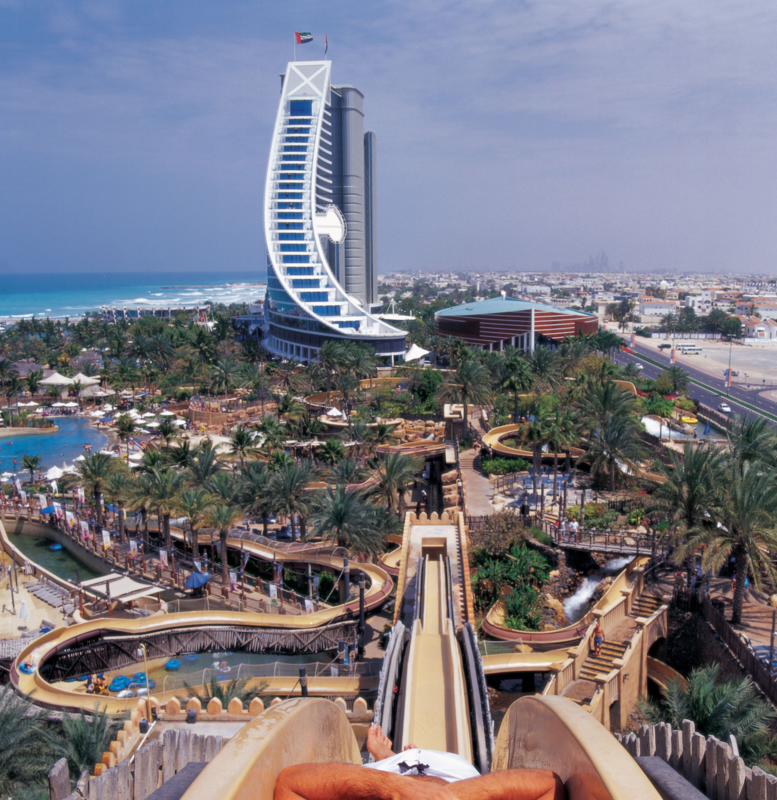 If you travel to Dubai, you cannot leave before you visit one of these esteemed waterparks. 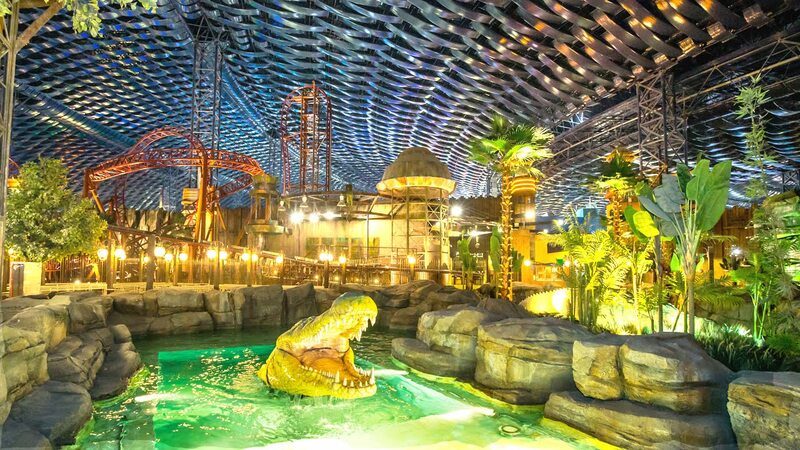 IMG Worlds of Adventure is the world’s largest indoor amusement park. This park has four zones: Marvel, Lost Valley Dinosaur Adventure, Cartoon Network, and IMG Boulevard, promising visitors will have countless hours of fun and entertainment. From rides and rollercoasters to movies and shopping, this amusement park has something for the whole family. Before you travel to Dubai, you should purchase an international data SIM card. An international data SIM card is the best way to connect with others when you travel abroad. Using one of these SIM cards, travelers can visit other countries with the confidence of knowing that they will be able to use the Internet, send and receive text messages, and make phone calls. If you purchase an international data SIM card, you can travel without having to think about which network you are using or any of the roaming fees that you might accrue if you use a plan from your service provider. With international data SIM cards, you can also rid yourself of the inconvenience of purchasing several local data SIM cards depending on the country you visit. If you want an affordable way to reach your loved ones while you are in Dubai, you should purchase the BNESIM X Infinity SIM card. This SIM card provides 6GB of high-speed Internet per month in over 88 countries, including the United Arab Emirates. Once you use up your full speed Internet allowance, you can still enjoy unlimited reduced speed Internet access. With the BNESIM X Infinity SIM card, you will receive two international phone numbers for free as well as unlimited minutes for calls worldwide. Available with different monthly plans and a credit allowance that never expires, this international data SIM card is one of the most affordable ways to use your smartphone while you are abroad. For more information about the BNESIM X Infinity SIM card or other international data SIM cards, visit BNESIM. Newer Post When is Thanksgiving 2018 in the US and what you should know about this day Older Post Do you know these proven methods for visiting Europe without breaking the bank?